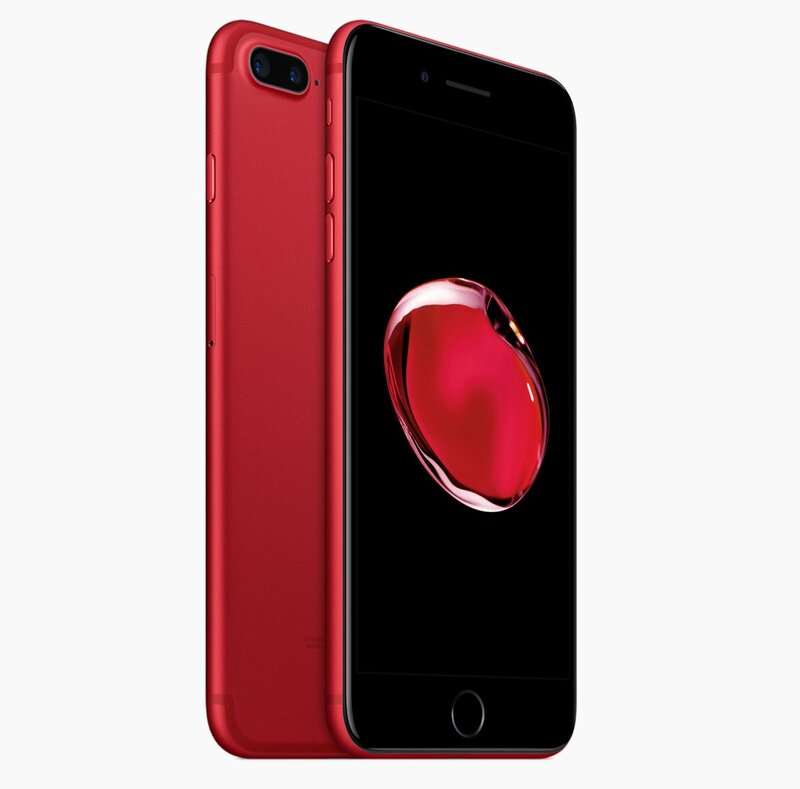 Apple is introducing a new color option for its iPhone 7 lineup today: red. While the iPhone maker has offered special product red cases for the iPhone previously, this is the first time the actual handset is available in red itself. The new Product (RED) iPhone features a red aluminum finish, and is launching as part of Apple's partnership with (RED). “The introduction of this special edition iPhone in a gorgeous red finish is our biggest (PRODUCT)RED offering to date in celebration of our partnership with (RED), and we can’t wait to get it into customers’ hands," says Apple CEO Tim Cook. Apple's partnership with (RED) involves highlighting the AIDS fundraising campaign with red-themed designs for products and apps. Apple recently turned its App Store and associated top apps the color red for the world AIDS day. Apple’s last color change to its iPhone lineup involved a new glossy jet black finish for the iPhone 7, and before that the company also introduced the rose gold option with the iPhone 6S. 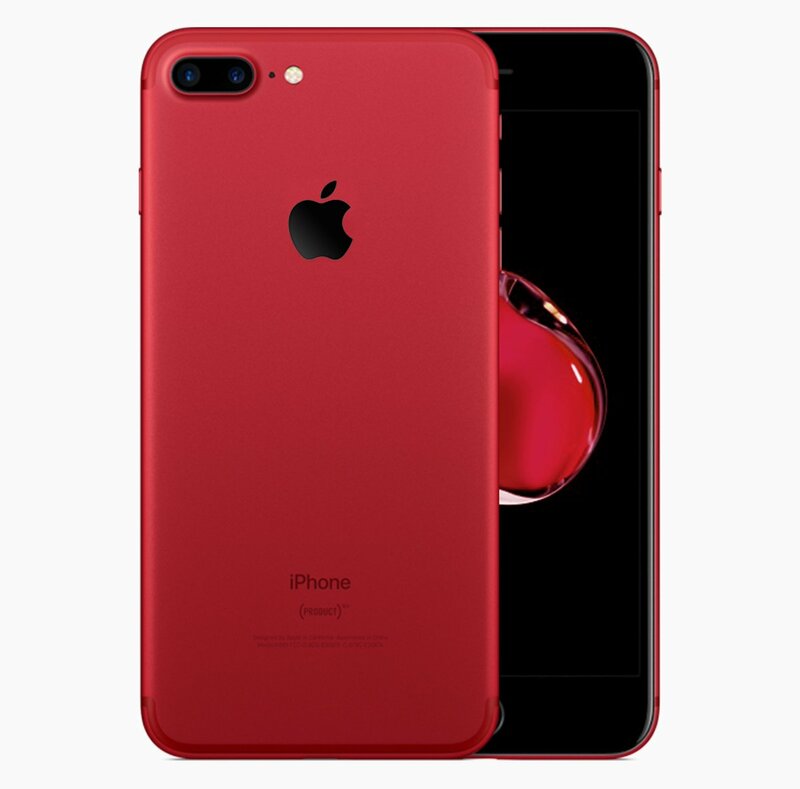 Today’s red option is perhaps the most striking of all the colors available for the iPhone 7 and 7 Plus, and it will be available on Friday, March 24th in 128GB and 256GB models starting at $749. How do you achieve this look? So how can you get this version of the iPhone? Well, you can’t get it from Apple. The easiest way is just to slap a red skin on a black iPhone 7. It won’t look nearly as sleek or stealthy, but it’s a sacrifice you’ll need to make. The second way is the most expensive option: buy a PRODUCT(RED) iPhone 7 and replace the white display with a black version. There’s a big second-hand market for displays, so it’s not too difficult to locate one. Replacing the display would be another issue altogether, but if you’ve seen any iFixit videos before, it’s definitely possible. The finished product just might be worth all the hassle. Ravindra Jadeja has overtaken R Ashwin at the top of the ICC Test rankings for bowlers, after taking nine wickets against Australia in the third Test of the Border-Gavaskar Trophy. Cheteshwar Pujara was also a major gainer as his 202 off 525 balls propelled him above Virat Kohli to become the top-ranked India batsman in Tests. He was at No. 2, behind Australia captain Steven Smith. 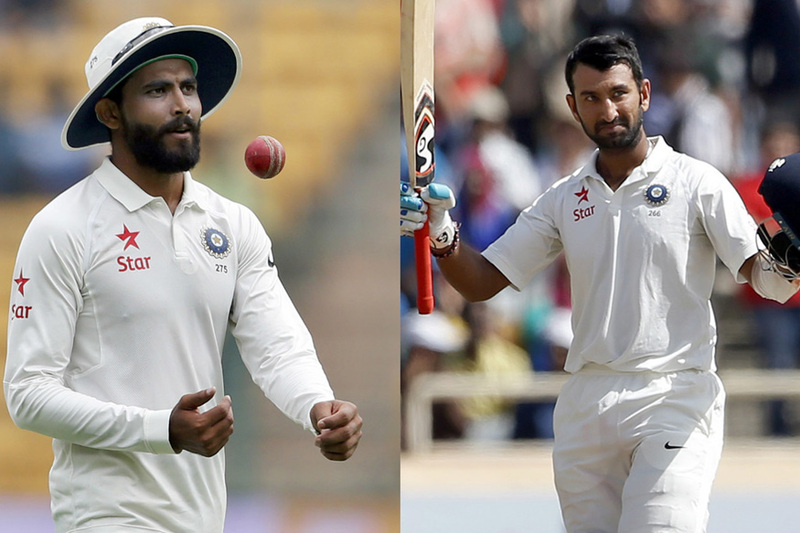 Although the Ranchi Test was drawn, at the end of the fourth day, the hosts had seemed in quite a dominant position thanks to these two players. Pujara, by facing more balls than any other Indian (where data is available) in Tests, secured a whopping 152-run lead though Australia had put up 451. It was the third double-century of his career, second against Australia, and it helped him continue a rich vein of form in the 2016-17 home season - 1259 runs at 66.26 with four hundreds and seven fifties. Jadeja, meanwhile, has outbowled his closest competitor Ashwin in the first innings this season - a sign that he was becoming a threat even without the pitch helping him too much. In all, Jadeja has taken 67 wickets at 22.98 with four five-wicket hauls in 24 innings. The changes he has made to his bowling, namely the ability to draw batsmen forward with flighted deliveries, as opposed to his usual method of bowling darts to get bowleds and lbws have made a strong impact. Kohli, at the end of the Ranchi Test, singled out Jadeja as "standing apart" from the rest of his bowlers. India will hold on to their position at the top of the rankings at the April 1 deadline for a cash award of $1 million. Australia and South Africa, on the other hand, have a chance to take over the second position. If Smith's men at least draw the upcoming Dharamsala Test, they will finish at No. 2. South Africa can take over if Australia lose, and they either draw or win the Hamilton Test against New Zealand. The team that finishes second will be awarded $500,000 and the third-placed team will get $200,000. Smith consolidated his place at the top of the rankings with scores of 178* and 21 in Ranchi. Smith has 941 rating points is now joint-fifth highest ever with Peter May. Only Don Bradman (961), Len Hutton (945), Jack Hobbs and Ricky Ponting (942) have ever got more. Nathan Lyon had already bowled 29 overs in India's innings when he came on to bowl his first over of day four. His first ball was just a touch short, and Wriddhiman Saha went on the back foot and punched him for a couple between cover and mid-off. Three balls later, slightly short again, Saha whisked him away through midwicket for a single. Lyon wasn't bowling long-hops - he wasn't being pulled or cut - but his length was marginally off, just short enough for the batsman to step back towards leg stump, wait, and push gently into the covers, or go back and across and work him to deep backward square leg. That sort of thing. He bowled nine overs in his first spell on Sunday, conceded 29 runs, had one lbw shout upheld and then turned down following a successful review from Cheteshwar Pujara. This wasn't Lyon's greatest spell, but it wasn't a particularly poor one by anyone's standards. It was also, perhaps, the least testing spell Pujara and Saha had faced since they came together on the third evening in Ranchi. When Lyon was brought back, they had already put on 65 in 28.2 overs - 28.2 overs of unrelenting Australian pressure. Australia began bowling to India in the middle session of the second day. India declared in the last session of the fourth day, after batting out 210 overs. They ground Australia down, drained them of energy and spark and ideas, and at various points left them wondering when their next wicket would come. But they never had it easy. Barring the second session of day three and the last session of day four, when India were in the lead and Ravindra Jadeja decided to have some fun, there was almost no let-up in Australia's intensity. Lyon, probably the worst of the four specialist bowlers, finished with 1 for 163 in 46 overs. The other three combined for 160 overs, taking eight wickets and conceding 2.55 runs per over. It was the third time in their 2016-17 home season that India had scored 600-plus in reply to their opposition batting first and scoring more than 400. In Mumbai, England made 400 and India 631. In Chennai, it was 477 and 759. This was the same sort of thing, but it was also entirely different. This was the hardest they had been made to work.